Sensei Jeremy began training in 1984, at the South Arm Dojo, with Sensei Tony Severs. He moved the following year, when Sensei Tony started a new dojo on Sea Island. He competed in many tournaments growing up, placing in the top three on many different occasions. 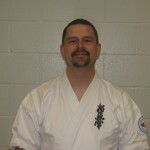 Sensei Jeremy received his Shodan in 2000, Nidan in 2006, and Sandan in 2011. He attends as many Camps and tournaments as possible throughout the year, and enjoys building relationships with others throughout the organization. 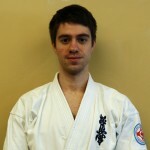 He opened the North Richmond Dojo in September of 2007, and the Cloverdale Dojo in 2012. 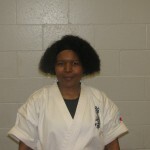 Tracy began training in 1998 at the Sea Island dojo. She graded for Shodan in 2005. Tracey continued training with Sensei Jeremy at the North Richmond Dojo when he took over the club in 2007. In February 2012, she helped launch the Cloverdale Club and now splits her training and instructing time between the two clubs. Rita started training Kyokushin karate in 1992 under Sensei Tony Severs and has been training with Sensei Jeremy since he took over the running of the dojo in 2007. She achieved her shodan in 2006. 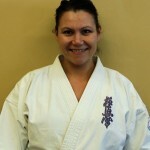 To continue her Kyokushin education, she regularly attends and participates in as many CKKO camps, tournaments, judging clinics and seminars as she can. Mike began training in 1994 at Sea Island Dojo under the instruction of Sensei Tony Severs. In 2007, Sensei Tony retired and Mike followed Sensei Jeremy Russell to the newly opened North Richmond Dojo. He is currently training hard and instructing students at North Richmond Dojo. 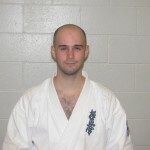 Mike received his Shodan in 2009. Over the years Mike has attended several tournaments, camps, conferences, and other events including the Mitsumine International Camp. Mike also has been assisting in various demonstrations and neighbourhood self-defence classes. Mike is also an active IKOKC Judge. 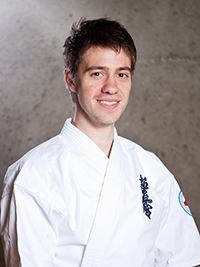 As an instructor, Mike will often lead a class in all aspects of training including: basics, moving basics, sparring, self-defence, kata, strength training, cardio/aerobic workout, etc. Baki began training in 2002 at the Sea Island Dojo under the instruction of Sensei Tony Severs. When Sensei Tony finally retired in 2007, Baki followed Sensei Jeremy Russell to the newly opened North Richmond Dojo. Currently he is training and instructing at North Richmond and occasionally appears at the Cloverdale Dojo to provide assistance. The Sea Island Dojo opened its doors in January 1985 after Sensei Tony Severs was approached from people living in the small community of Burkeville. The dojo operated until June of 2007, when Sensei Tony decided to retire from actively running the dojo. With much support from the community, Sensei Jeremy, with some of the other Sea Island black belts, opened the North Richmond Dojo in September of 2007. Sensei Jeremy ran the dojo until August, 2015 at which point he entrusted the operation to Sempai Baki Cvijetinovic.